Welcome to the FAN ONLINE UPDATES! 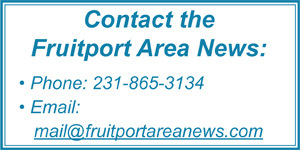 The Fruitport Area News is published 2 or 3 times a year and mailed to all 6,000+ households & businesses in Fruitport and Sullivan townships, plus 1,600 subscribers and businesses surrounding these two townships. Additional copies are sold in area stores, as well. 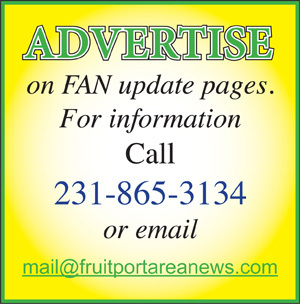 Now in our 34th year, the Fruitport Area News has a reputation of credibility and factual accuracy, and is an advertiser supported community service journal. Most residents will read about someone they know personally in each issue. 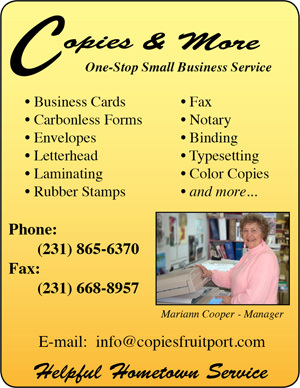 We provide a copy of each paper to be read online, as well as online updates. Please continue to visit us here.